Leading Wisconsin GOP officials keep saying that the Foxconn bill with its precedent-setting billions in taxpayer subsidies and unique waivers from environmental reviews and law will create huge numbers of jobs without harming the environment. Make sure you consider those same officials' track records, statements and past performances when jobs, the environment and truth-telling were on the table. Walker - - "I think you're going to see a tremendous takeoff." Vos - - "Our economy is going to take off like a rocket." 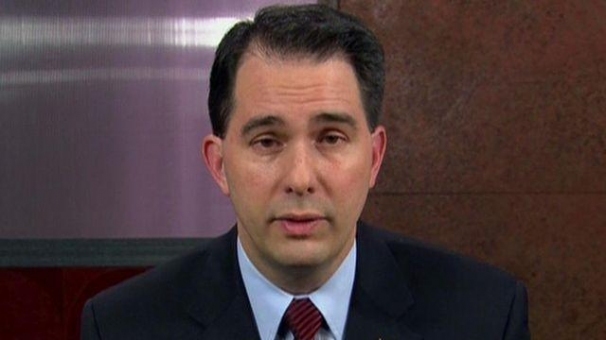 * Those numbers never materialized; PolitiFact in 2014 ranked Walker's signature 250,000-new-jobs in four years pledges a "broken promise." State employers added an estimated 53,400 jobs in 2014, pushing the total for his four-year term to 146,795. That's about 59 percent of the total Walker promised as a candidate. The fourth quarter numbers for 2015 and 2016 from the BLS show Wisconsin added 38,077 and 11,548 jobs respectively. The 2016 growth numbers were the worst during Walker’s tenure and the worst since the economy rebounded after the 2008-’09 recession. In total, Wisconsin has added a total of 179,778 private sector jobs during Walker’s near seven years as governor, which puts him 70,000 short of the pledged 250,000 new jobs. The audit found that enforcement actions of municipal and industrial wastewater permits declined from 2005 through 2014. The auditors, using the DNR’s own standards, also found the agency failed to issue violation notices nearly 6% of the time in 558 cases they examined. In addition, it turned up backlogs: The DNR did inspections of 17 large farms — 6.5% of the total — after permits had already been re-issued. I would say I think it's good news that those numbers are going down. * Finally, I said this weekend it was important to get to the bottom of a) who decided to withhold from legislators and the public prior to the Assembly's rushed approval vote Thursday job projection data from Foxconn that were far below the 13,000 new jobs now touted by Walker, and b) how that number grew almost 5,000 to 13,000 from 8,240. There is precedent for Walker withholding public records from media and the public when those records would cast him and his big-picture budgeting and policy-making in a negative light. Would it be OK if I cross-posted this article to WriterBeat.com? There is no fee, I'm simply trying to add more content diversity for our community and I liked what yo5u wrote. I'll be sure to give you complete creddit as the author. If "OK" please let me know via email.